This class consists of SEIGA MARU and KAIKA MARU, respectively completed in Jul ’42 and Apr ’43 for Dairen Kisen K.K. Both were requisitioned by the IJN as general requisitioned transports. 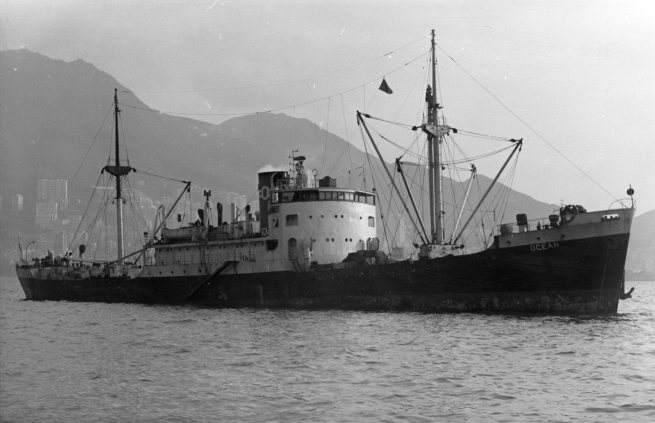 KAIKA MARU was converted to an auxiliary transport in Jan ’44, being torpedoed and sunk later that month by an American submarine. SEIGA MARU survived the war and was renamed several times. She was mined and sunk in the Mekong River outside Phnom-Penh Docks near Chrui Changuar Island in Mar ’72. Builder and Year Completed: Dairen. Dairen Senkyo Tekko K.K. Gross tonnage: From 2,087-tons to 2,090-tons. Speed: Cruising: 10 knots – Max : unknown.